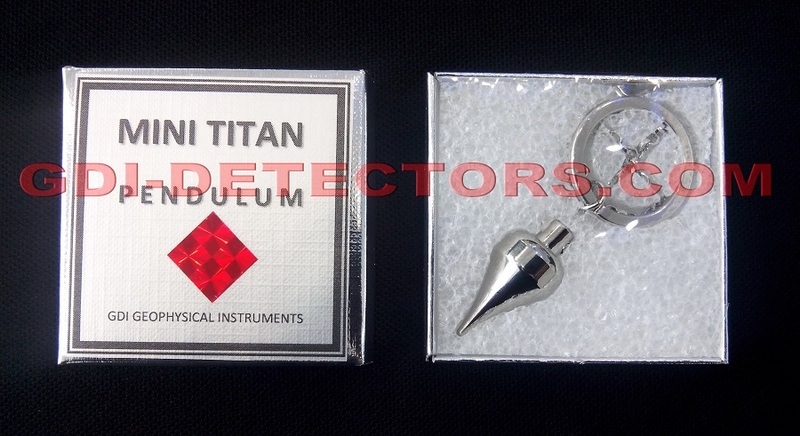 When using GDI entry level dowsing pendulum for gold MINI TITAN, hold also with it a sample gold target, this way a strong attraction is created to distant gold targets and selectivity when other kinds of metal exist nearby the search area. 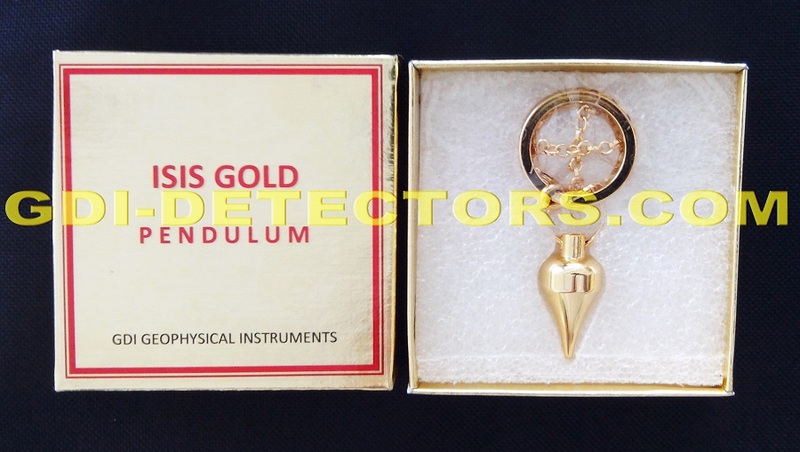 ISIS gold dowsing pendulum by GDI is the best tool for starters in gold dowsing. ISIS pendulum has been gold plated as to enhance attraction for gold targets and better selectivity against other metals. This way it is not neccessary to hold a gold sample when searching with the ISIS pendulum. 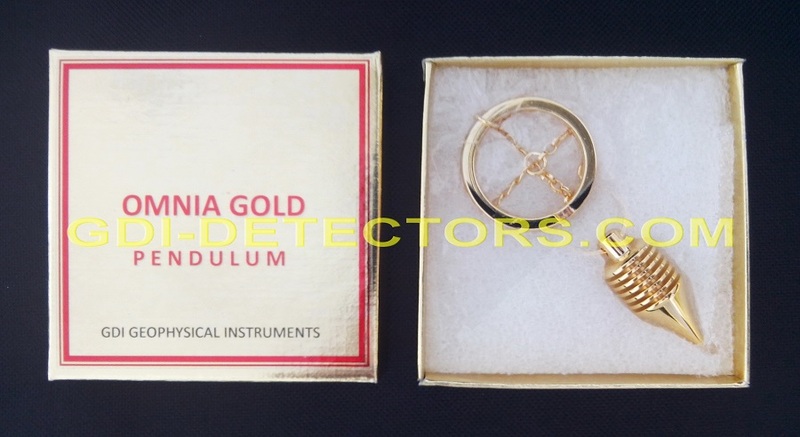 OMNIA gold dowsing pendulum is a general purpose dowser tool. Gold plated as to enhance attraction of gold targets and selectivity against other types of metal. Suitable for indoor & outdoor use. Capable for medium detection distances. 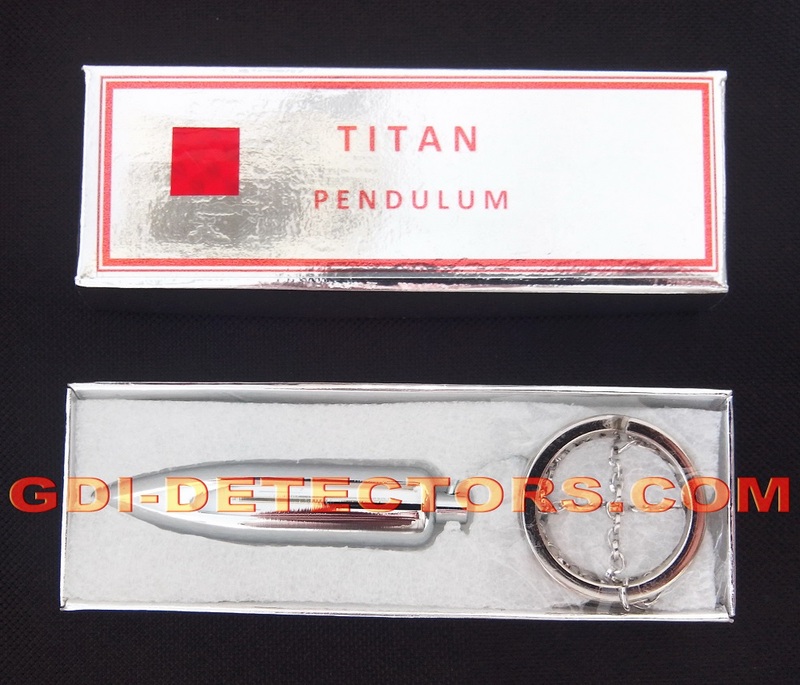 TITAN gold and water dowsing pendulum is the choice of the experienced dowser. Suitable for general purpose indoor and outdoor treasure hunting applications. 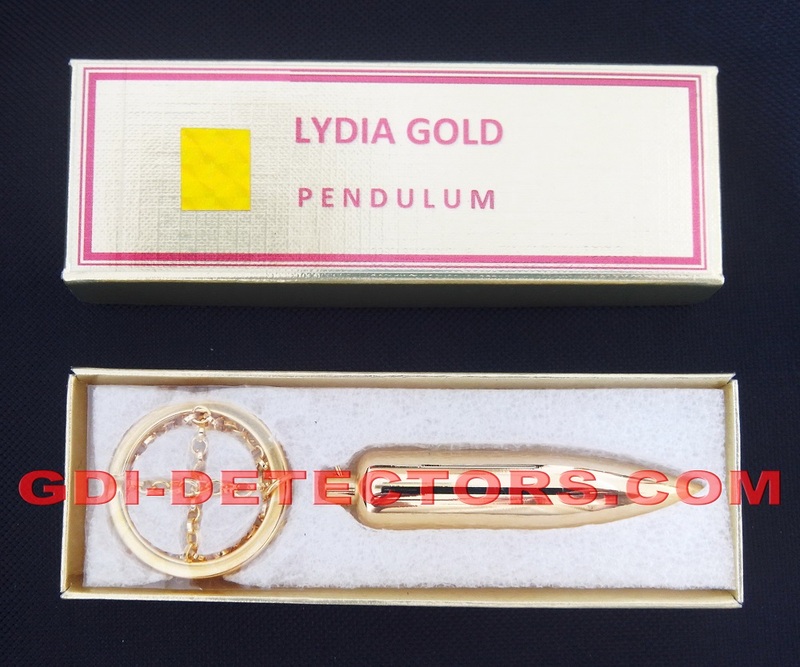 The LYDIA gold dowsing pendulum locators are the professional dowser choice for long distances outdoor searching. When used in treasure hunting, since LYDIA is gold plated, it is not necessary for the user to hold a sample gold target for selectivity against other metals. 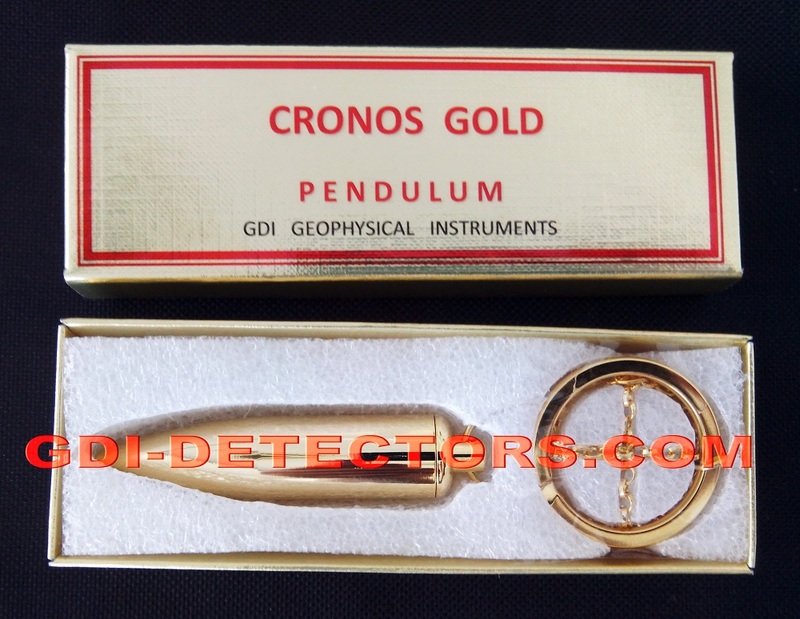 CRONOS gold dowsing pendulum by GDI. Professionaly gold plated long range locators. Compact gold detectors with sample targets chamber to input the desired combination of targets and increase selectivity. Suitable for long distance treasure hunting. 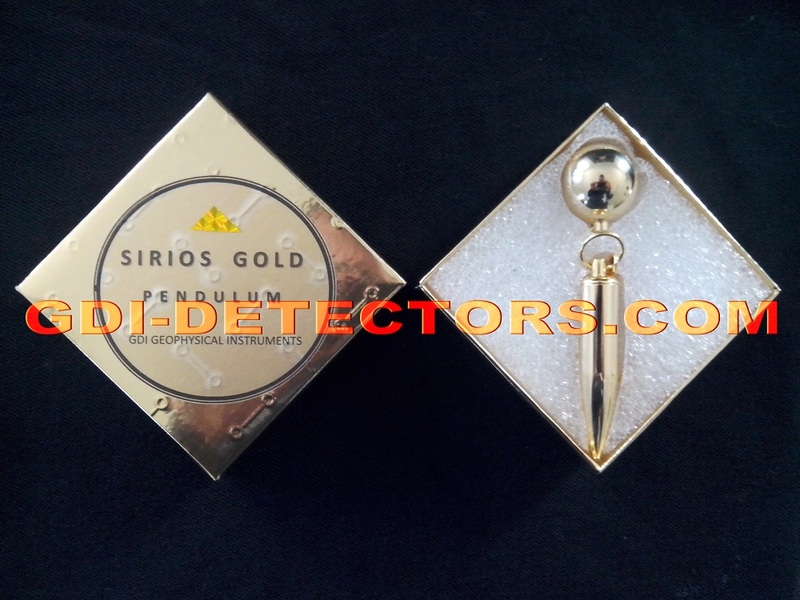 SIRIOS radiesthesia gold-water dowsing pendulum. Top of the line long range locator. SIRIOS is a professional pendulum with a chamber to input your target sample or combination of samples to increase selectivity and discrimination against unwanted targets. Features a sphere as a hold. Manufactured by GDI gold detectors.